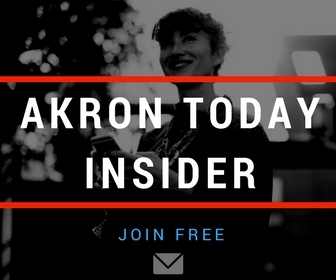 Akron, Ohio is known for putting out some of the greatest professionals we’ve seen today. LeBron James, the king of basketball, was born here and has since remained active in the community. The LeBron James Family Foundation has helped rebuild homes, educate children and will open a school in Akron this summer. It plans to house first through eighth graders by 2022. Akron also has a history in the Civil Rights Movement. The famous abolitionist John Brown lived in the city and worked in the area as a wool expert until vowing to destroy slavery after the murder of Elijah P. Lovejoy, a journalist, and fellow abolitionist. The John Brown House still stands in Akron today owned by the Summit County Historical Society of Akron, Ohio. The National Museum of Psychology calls Akron home and strives to show what it means to be human. The museum features documents, videos and artifacts from history’s leading psychologists, like Freud and Skinner. Thought provoking and full of information, this museum is a must-see for anyone. The material displayed is well explained and features interactive exhibits. The exhibits take you through the beginning of the profession, the science of it and the social changes that have progressed from psychology. The Akron Zoo is home to one of the rarest big cats in the world, the snow leopard. There are between 3,000 and 7,000 snow leopards left in the wild, but the zoo has been welcoming snow leopard cubs since 2014. In March 2016 the first set of triplets were born at the Akron Zoo and have been winning the hearts of zoo-goers since.